This baby is a living human being! 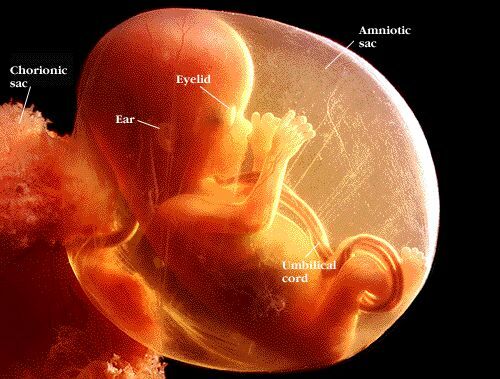 All the major organs of your baby have formed now though they are not fully developed yet. Eyes and ears are growing now. The heart is beating strongly. 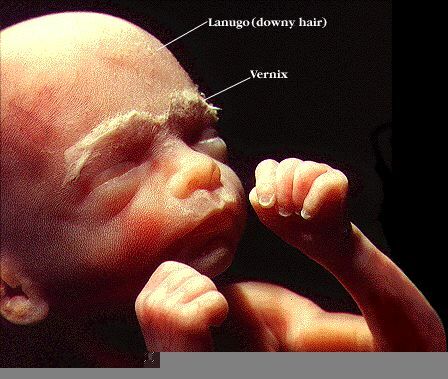 When you have an ultrasound during this time, you can see the fetal heart pulsating. Your baby is now about 6.5 cm long and weighs about 18 grams. His head is becoming more rounded and the face is completely formed. Toes and fingers are formed and nails are beginning to grow. The baby is moving it's limps but you can not feel this movements yet. Your baby is now about 16 cm long and weighs 35 grams. During a scan, you can see the baby's head and body and you may see the baby moving. It is exercising all his limbs, kicking and moving about. 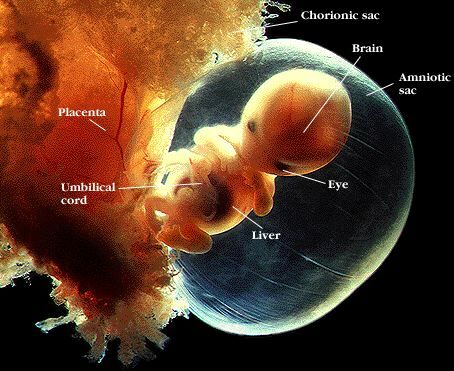 This is the earliest stage at which you may feel the baby moving. It feels like there is a butterfly in your belly. However, do not worry if you don't feel anything yet. If this is your first baby, you are likely to feel the first movements a bit later. Psalm 71:6 By thee have I been holden up from the womb: thou art he that took me out of my mother's bowels: my praise shall be continually of thee. Your baby is about 32 cm long now and weighs 500 grams. 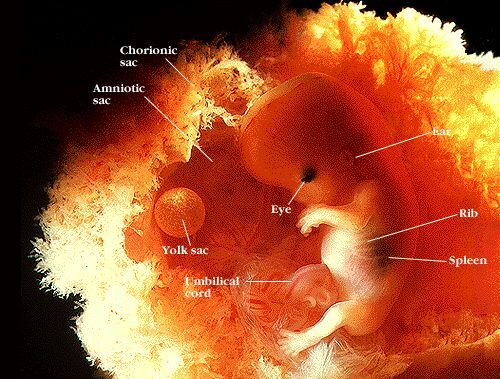 You can feel different parts of the baby's body through your abdominal wall. Your uterine muscle is stretching and you may feel a pain sometimes at the side of your tummy. The top of your uterus reaches to just above your navel. Partial Birth Abortion - What's The Big Deal? Abortion Quotes - Stories from those who have been there.